Y'all know how obsessed I am with flamingo prints. 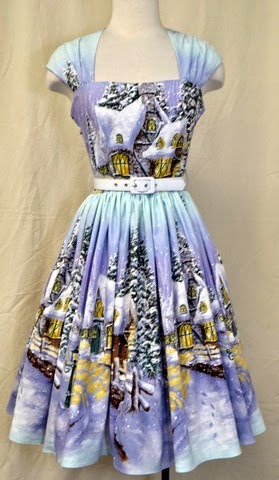 When I saw this on Unique Vintage's New Arrivals page last week my heart nearly leapt out of my chest. When it's love, you know it from the get go! Click for this skirt HERE! I'm also a pretty big sucker for Tiki prints as well, so this skirt from UV also had me drooling! Way to hit it out of the park, Unique Vintage! So many fun novelty print skirts this week! 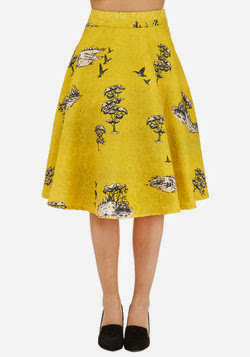 This Charming by Nature Skirt is Modcloth at it's best...if you ask me! I just got my first order from this site last week and I'm already in love (pictures to come soon!). Now I'm obsessed with browsing the site for want I want next. 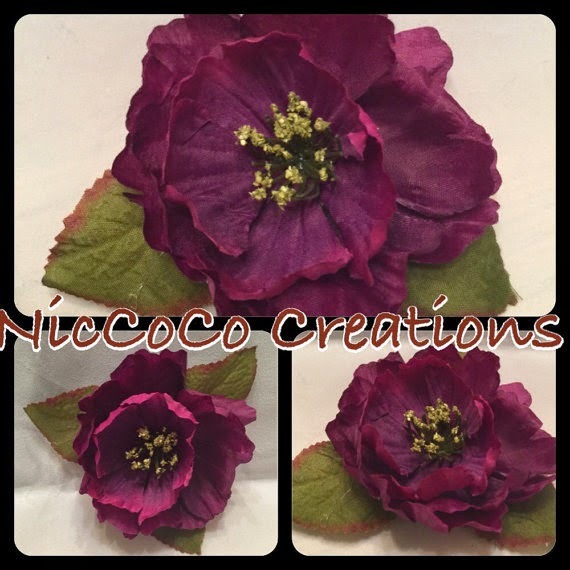 The richness of these colors stood out to me (it's call Ashley's Purple Delite) and the price is under $10! A few weeks ago I talked about how I wanted the skirt version of this. That is still a true fact, but now that this print comes in a dress version that's more "me" than the other dress versions it comes in...I'm now confused about if I want the skirt or dress more! Love the printed skirts from UV, especially that flamingo one! And I'm so in love with that winter wonderland Bernie. It just made its way to the top of my wishlist. I'm hoping she has some sort of Black Friday sale :).